And, for me, normalcy is me in my studio, working on quilts. I had said in an earlier post where I was talking about using Zipper Leaders to hold quilts onto the frame that I would also post a picture at a later date of the clips I use – the Grip-Lite Clamps. Well, here they are. They are about the size of those potato bag clips, but a little bulkier. I like them because they are easier for my old hands to open and close in order to clamp onto the fabric. On the back of the clamp gives you a website where you can buy them. Of course, if you Google them, you will find other places that sell them, too. 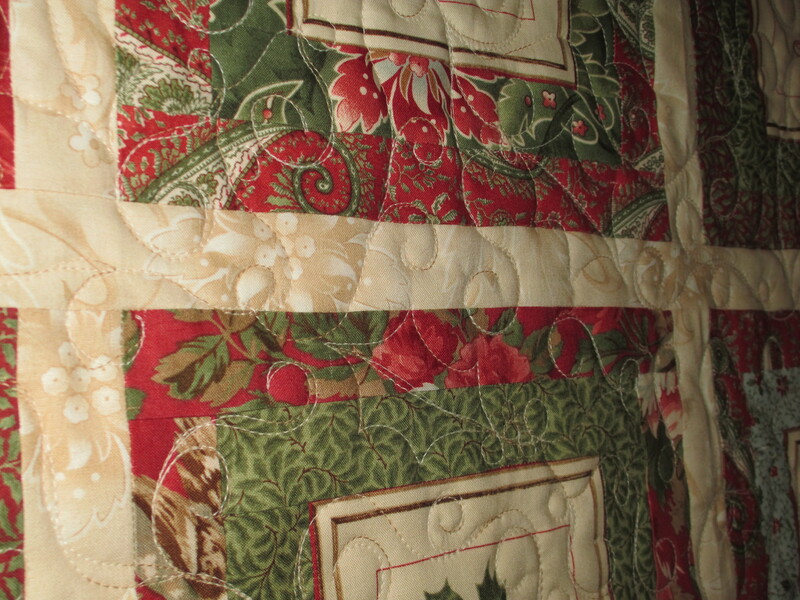 Onto the quilts I’ve been working on… It was Christmas in August here. 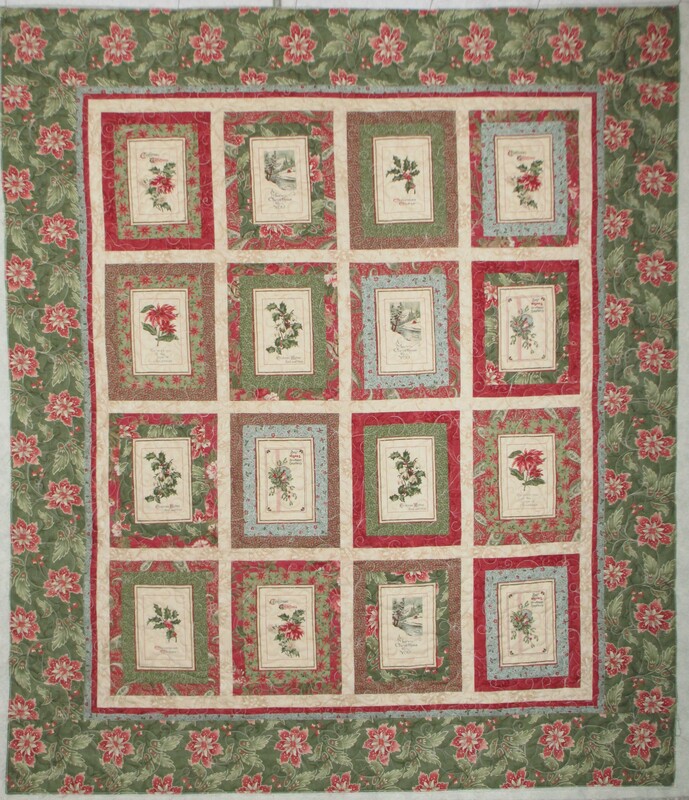 It’s a good thing Joan gave this to me now, because quilters get VERY busy the 3 months before Christmas, and if you don’t get your Christmas present quilt top to us early on, you stand the chance that it may not be done in time for Christmas. 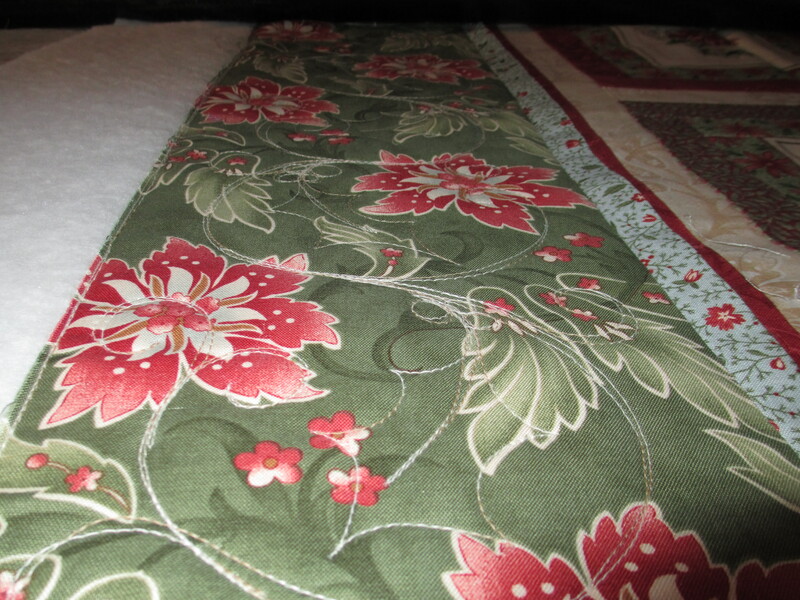 Joan wanted swirls quilted onto her quilt, and I was so happy and relieved to do that for her. Have I told you that I LOVE swirls? I have had so much fun quilting swirls into quilts. Other than the surprises that my evil twin sneaks into quilts, swirls are probably my favorite thing to quilt. This is her finished quilt and a picture of the swirls on the blocks. 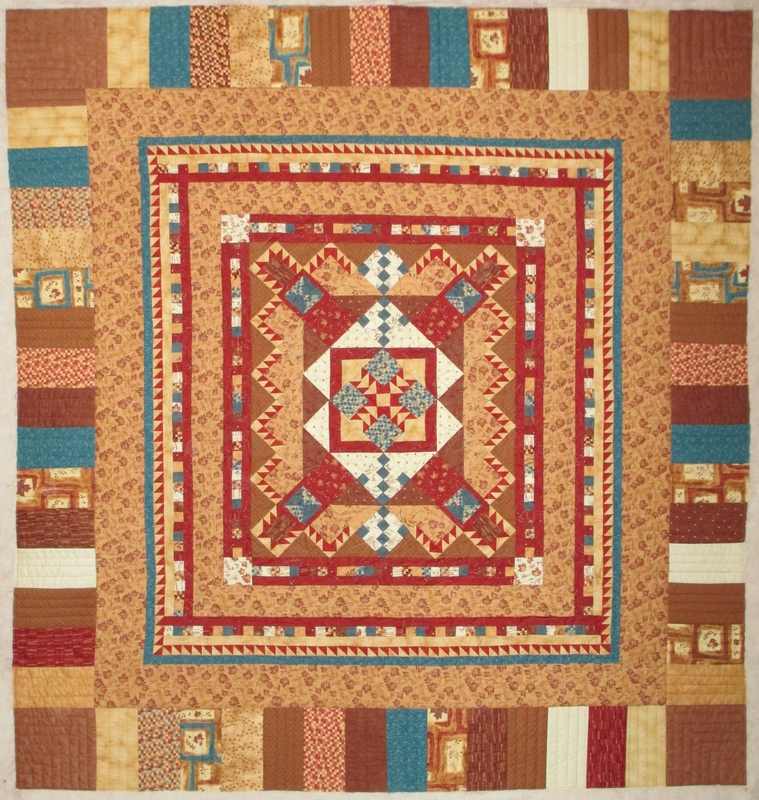 She chose a variegated cream, which goes well with this quilt, and the swirls do not interfere with the pictures on the blocks. I also mixed some holly leaves and berries in the swirls but tried to keep them off the pictures themselves in order not to interfere or compete with them. 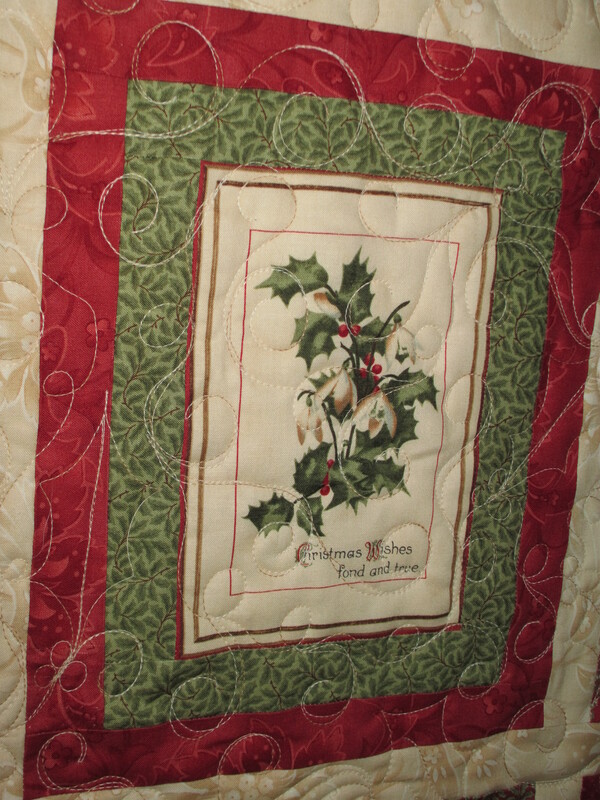 We did a separate border with the same theme; swirls with holly and berries. I played around on my drawing board for ideas for the border. 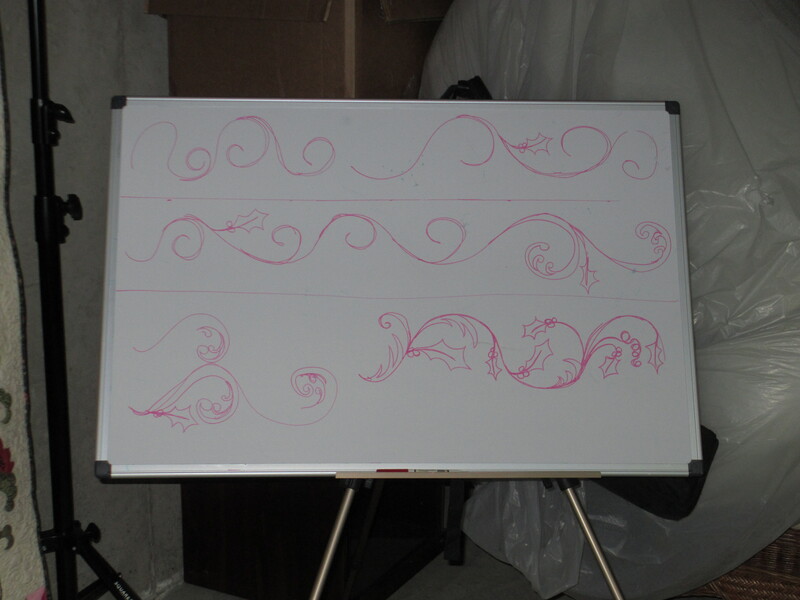 And, this is what I did, swirls with holly in the center of the back and forth swirls, similar to my bottom drawing. 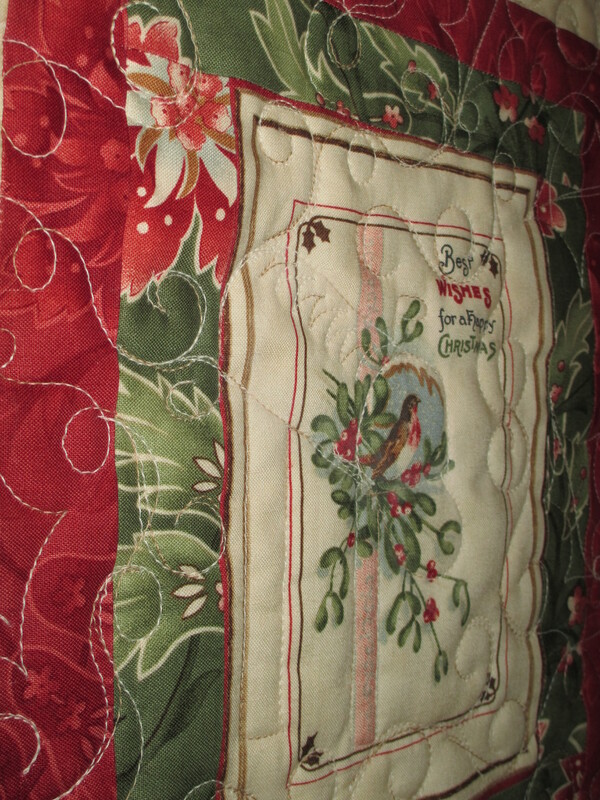 And, finally, a couple of surprises to make this Joan’s personal heirloom quilt… mailbox stitched around the bird and 2013 stitched into the bottom right of a block. She’s got one more surprise, but it’s a very small one. I’ll let her wonder what it is and look for that one. I had a LOT of fun with this quilt! This next quilt is Wilma’s. I don’t know how she does it, but I swear, she’s been piecing at least one quilt a month. She’s keeping me busy, and I am perfectly okay with that! 😉 Here’s a full shot of her quilt. 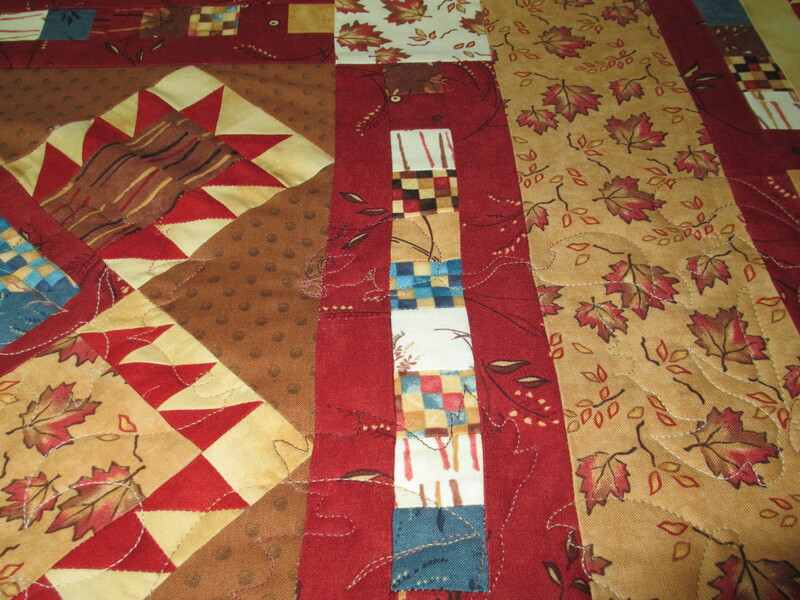 She wanted maple leaves quilted into it to match the fabric, so she chose a pantograph that had the maple leaves for the body of her quilt and piano keys for the border. The pantograph I used was Maple Breezes by MeadowLyon Designs. You can find the pattern here. Angela Meadows and Judy Lyon are a team of quilters in business together. 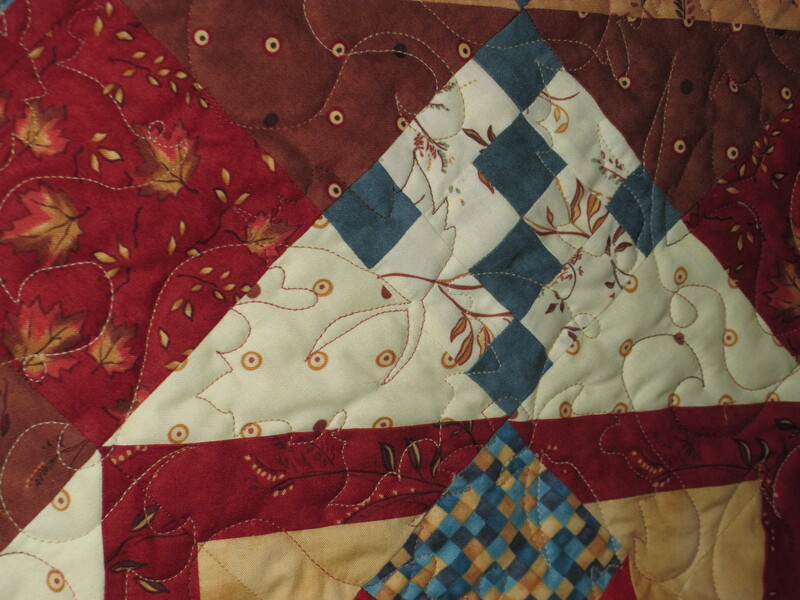 As far as I know, Angela does the quilting, and with Angela’s input, Judy designs the pantographs. If you’ve used their pantographs or seen their pantographs, you know they have a wide variety of designs. I don’t know where Judy comes up with all her designs! Now the problem with this (for my evil twin) was how on earth I would be able to add surprises to a pantograph… I couldn’t add a surprise to the border, because it was all piano keys; straight lines. The good thing about this particular pantograph is that there were some areas that had big swirls where I could put a surprise in its place. If you’ve ever used a pantograph, you know you have to play around with the edges anyway and especially when you are almost done with the quilt and have only 1/2 of a row for a full row of pantograph. So, you just draw lines with a dry erase marker on the plastic on top of the pantograph, so you can adapt it to fit the space you have available. Okay, so if I can do that, I can add a surprise. I just drew out a mouse on Vellum paper to be eating within all those leaves and taped it to the spot where I wanted it to go. That red dot is the laser light pointing where to follow the lines. And, here is what the mouse looks like stitched out. 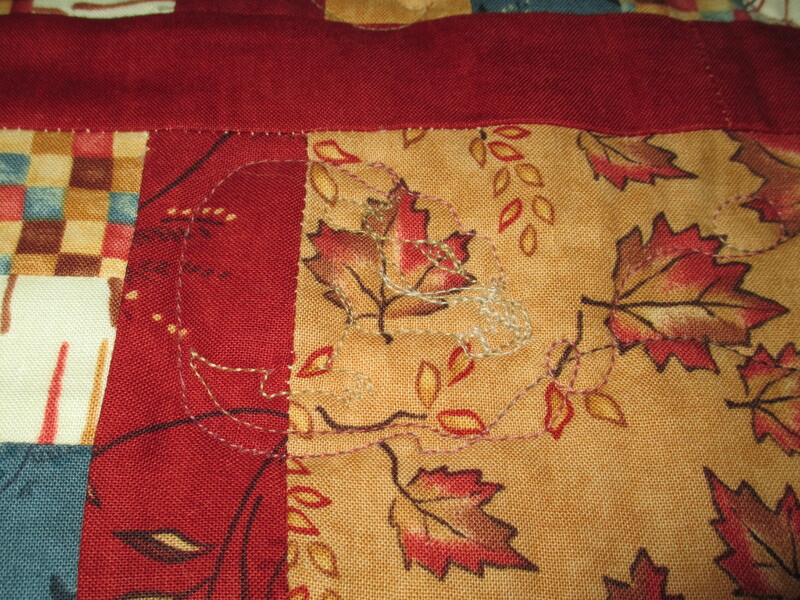 I loved how the colors of the variegated thread popped off Wilma’s quilt. It was as if this thread was made for this quilt. But then, I think Wilma’s got great color sense and her quilts “pop” anyway. Don’t you? Both beautiful. I love your creative surprises!